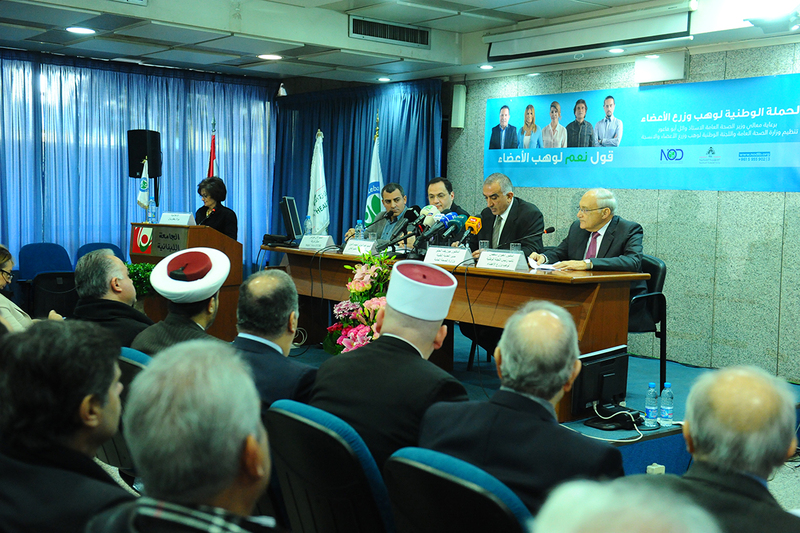 NOD Lb, under the patronage of HE minister Wael Abou Faour, held a press conference to launch the first national media campaign on organ donation “Say Yes to organ donation”, on January 14, 2015, at the Lebanese university head office. The speakers were the representative of the minister of public health Dr. Joseph Helou, the representative of the minister of education Mr. Abed Al Mawla Chehabeddine, the representative of M&CSAATCHI Mr. Alain Hochar and Vice-president NOD Lb Dr. Antoine Stephan. Mrs. Paula Yaacoubian welcomed the guests, speakers and media with a touching speech on the love of giving and the duty of helping one another. Interventions of the religious followed to confirm their encouragement for organ donation.